For a full treatment of the Reformation, see my work: The Reformation Made Easy – C. Matthew McMahon. The essence of Christianity was it spirituality. However, at this point in the Reformation, politics were taking a grip on the Reformation and its was beginning to deal with the world in less than spiritual terms. Once this began to occur, it’s decline began. Charles had not yet heard the edict that came from Spires, and the outcome of the dealing there. German citizens who were in favor of the protest brought news to him, and the Word of God was glorified as the only foundation upon which the church should build. Charles was silent. This was not the Catholic alliance he had made in order to destroy the heresy of the land. A congress was opened at Smalkald where Ehinger, Caden and Frauentraut, those three who had brought news to Charles, appeared before them. Phillip was pleased that his political endeavors were coming together nicely. However, he was deceived into thinking Charles accepted the news of Spires with delight and not disdain. Luther desired to see religion and politics wed, but at this point the Protestant Church was not the religious state wed to the emperor – that was the case with Rome. Charles called together the states of the empire to Augsburg in order to come together and discuss the problems on both sides of the church, both Protestantism and Romanism, in order to reach one unified Christian body. This seemed all well and good. However, this did not seem like Charles at all. At first he spoke of ridding heresy by the sword, and now he is talking about peace. Yet, each time Charles tended toward being cordial with both parties, Ferdinand continued to bring him back to his Catholic senses. Charles desired to be crowned by the Pope, and this happened in Bologna. Clement distributed the mass to him, had him recite vows to the Catholic church, then presented him with a sword in which he was to make use of it against the enemies of the faith. The emperor kissed a white cross-embroidered on the Pope’s slipper and vowed to uphold such. The people feared the emperor since he was now the anointed one of the papacy. They thought this was the end for Luther and Melancthon against the empire of both Charles and the pontificate. The Duke of Saxony inquired with Luther as to what should be done if the emperor marched against the reformers. Luther consoled him not to raise a sword, nor should any prince, for God would deliver them from the hand of their enemies. Now all that the Duke desired was to entertain whether he would go to the Diet at Augsburg or not, in case it would be a trap for those who held forth the Protestant banner. The elector decided to go to Augsburg, though his life may be at stake, and arrived on May 2nd. On May 12th Phillip of Hesse arrived as well. Charles himself arrived and the people thronged him as he entered the city. The people thought, as they had been discussing, that the Reformation would fall apart now that Charles was near. A new turn took place. As some were in Augsburg awaiting the official start of religious matters concerning the Diet, at Innspruck Duke George and the worst opposers of the Reformation held a new “secret” Diet with Charles. This was opposed by John-Frederick, an electoral prince, and he insisted that the Diet be held where Charles had originally intended it – in Augsburg. This was the first opposition Charles experienced. Augsburg was now the official place where the Diet should be held. John and Phillip took advantage of this Diet in order to voice their opinions and the truth of Gospel of Jesus Christ in order to convert the empire to Protestantism. Phillip had Snepff and Cellarius preach in the cathedral subsequent days, and the Gospel was heard by all who attended. Rome was amazed. The mother Church came hoping to see dejected criminals, and instead, they saw the fierceness of the Gospel. Rome was upset that such preaching had taken place and had Charles raise up two counts to create formal charges against John for having allowed it. The priests of Rome were not skilled enough to battle the Gospel, and therefore had to resort to political coos. John received their letter and told the prince that if he was to be shut down, he would leave the city. This would not have been good politically. John said that he would wait for an answer from his theologian as to his course of action. Luther said he should be humble and respectful of the king. Melancthon, who was at Augsburg with him along with the princes, agreed with Luther on this course of action. The elector and princes, along with Melancthon, decided to draw up a common confession that they could hand the emperor concerning their position on doctrine, and they petitioned him to allow the preaching of the Word of God to continue each day. Melancthon sent the draft to Luther and Luther approved it without correction. However, upon return to Melancthon, he and the princes continued to improve it day by day until it was finished. The confession was distributed to the Protestants States and all agreed to it after deliberations. There was great agitation in the city as the king made his way to the Diet. Spaniards (those who were devout Catholics) caused some problems for the princes as they arrived on the scene and tore down their arms, and many of the town’s people were ready for some kind of outburst or riotous behavior to take place. Soldiers lined the streets, and the magistrates had chains put up in order to keep the crowd controlled. Charles had finally made it to Augsburg himself and the throng of people that greeted him was innumerable. The electors and princes gathered at the town hall and waited for Charles to arrive there. Albert of Mentz heralded his arrival, and welcomed the emperor to the Diet. The princes, electors, and the king assembled at Augsburg, and the Romanists there desired to have the mass instituted. The Protestants vehemently protested this. Charles was agitated as to why they could not simply go along with this, but it would be against their conscience to do so. He angrily instructed the theologians to draw up a document stating why they did not agree with the Romanists on this, and Spalatin took pen in hand and that night wrote down their differences with the help of other theologians. In the morning the Margrave of Brandenburg was the spokesmen on behalf of the Protestants to Charles. They withstood the emperor, and this caused him great irritation since he was defending Catholic doctrine, and now the Pope. Charles sent forth a threatening order in light of his doctrinal position against the Protestants, but princes, who were in fact Romans, but desired to keep peace there, overthrew it. Charles was defeated on the procession, but wanted to take revenge on the princes by stopping the sermons they were having each day. Protestants gathered to discern the request of the emperor to stop the sermons and it was obviously rejected. Mention was made of laying aside both Catholic and Lutheran positions and having chaplains simply preach the Word of God. This, though not perfect in Melancthon’s eyes, was acceptable since the desire of the Protestants was to have Charles hear their confession that they had been working upon for days. If they continued to agitate the emperor there would be no room to have him see the Confession. The Diet assembled in the cathedral and a sermon or sorts was given. Both the Protestants and Catholics disdained it since the man exalted the Turks about the Germans. The Turks all bow to one man, but the Germans bow to no one. He made the Germans seems like anarchists and that they should be put to the sword. Even the cardinals detested this language. Germany was almost at war with the Turks, and here they were being elevated above the Germans! Valdez begged Melancthon to call on Charles that a conference may be had that was less public than a disputation between all these people in the Diet. Melancthon desired such a conference much more than the public debate, and again Valdez relayed to Melancthon the emperor’s desire to keep things discreet. Melancthon was almost won over to such a meeting, but Duke John intervened in this and did not think that such a conference was proper. It would have to be a public disputation of sorts between the Protestants and Charles. Charles, desiring to having this disputation finished, ordered the elector have the Confession read by Friday. This took the Protestants by surprise. They labored day and night to have the Confession ready. On Thursday the document was read during a gathering of the electors and princes. The landgrave, being Zwinglian and not Lutheran, as well as the Strasburgers, wanted one point on the sacrament of the Supper changed, but the request was denied. The electors and princes were ready to sign this document when Melancthon said that only ministers and theologians should be the ones to put their signature to it. It was not for princes to do such things. However, John was quite forceful in his desire to uphold the truth, and Melancthon gave way to the princes to sign the document. Melancthon was in anguish. He was unsure of how all this would turn out and desired so much to have Luther by his side. However, due to the threats upon Luther’s life, he could not attend the Diet in the city it was held. Melancthon was not on his own though. Luther was taking time to pray fervently for the Diet and the success of the Gospel there. Instead of taking his prime hours of study, he used that time to pray. He took three hours a day to pray for this Diet and the importance of it. He desired, as much as the princes and theologians attending, to see a happy victory come from the work that Melancthon had put in on the Confession. 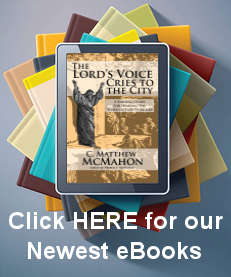 The Confession was written by the grace of prayer, along with the theological prowess of Melancthon’s intellect. At last the day arrived when the Confession would be read before the king. The hearing would take place in the chapel of the Palatine Palace, and Charles took his seat on the throne and readied himself to hear the Protestant. John the elector, his son, Phillip of Hesse, and the other Protestant electors and margraves stood up with joy before the king to present him with the Confession. Bayer was chosen to read the Confession clearly, slowly and precisely. The Confession painted the expression of faith of the Christian Church, the sacraments of the supper and baptism, the government of the church, forgiveness of sins, and then they moved onto the second part of the Confession which outlined abuses that the Protestants could not in good conscience uphold. The reading took two hours. The document itself was profound, and it remains one of the penned work of genius of the Reformation. Roman documents come forth without Scripture, and pressed harshness and threats. This document was filled with the Bible and purposed solemnity and high intellectual structure and language that was serene. In writing in this manner, Melancthon demonstrated he was being as wise as a serpent and harmless a dove. He compromised on nothing, but addressed all that should be said in the context for which it was written. Charles kept the Latin copy for himself, and gave the German one to the elector of Mentz since he was not proficient in the language. Charles rose from his throne and begged them in a low tone not to publish the Confession and they agreed. The chapel was dismissed. The Roman church had expected a harsh document that attacked their doctrines. Instead they heard the confession of Protestants to their Lord Jesus Christ. Many were won to the truth by this document, among whom were Archbishop Hermann, elector of Cologne, the Count-palatine Frederick, Duke Erick of Brunswick-Luneberg, Duke Henry of Mecklenburg and the Dukes of Pomerania. Charles himself had the Confession translated into French, Italian, Spanish and Portuguese in order to send it to every court, echoing the sentiments that Luther desired. Luther was quite happy that the document was moving through Christendom, but the outcome of such a drama would be another thing altogether. What would the end be of all this? Luther proposed that it would not be as good as the present circumstances. Charles, knowing he needed to unify the nation, thought he would attack the smaller confederacies first by having them adhere to the edict of the Diet of Spires. These small confederacies thought this was strange and asked for time to consider this. The next day they answered the emperor in saying they could not hold to the Recess of the Diet that contradicted the Word of God, and so refused his request. Charles called all the princes together as debate began over the Confession. The princes stood their ground heartily and George of Saxony and Joachim of Brandenburg were both animated and outspoken in their views. Charles then had a group of theologians sit with Melancthon to go over this document and see if resolve could be made. Resolve was not met because to do so would be to give up the Catholicism that the Romanist theologians adhered. Among those consulting theologians were John Eck and Faber. A refutation of the Confession was commencing by the Catholic theologians, each one adding his own refutations and his own thoughts of hatred toward the document. The refutation was “confused, violent and blood-thirsty.” Charles immediately saw the difference between the two documents – it was too forthright to be denied. Charles would have been ashamed to have such a refutation read at the Diet and he told them they must revise it, and make it shorter, with moderate language. The Romanists theologians and Charles knew they would not win the Protestants with the document. Instead they decided to hold meetings with the electors one by one, thinking they would not be able to remain strong while standing alone. They accused John of siding with the Swiss (Bucer and Capito had arrived day before the Confession was read, but the Romanists did not know such celebrated doctors were also present). This did not work, for the Christian faith was stronger than the Catholic pressure. The document of Refutation was revised and submitted to the Diet. The Protestants saw their hopes of success fade, and the deception of the king’s reception of the Confession they had drawn up was nothing more than an exercise for him. The Catholics placed forth their objections, and even the Pope, while in Rome, set on paper certain doctrines that the Protestants would heed – they pressed manmade tradition that the Confession rejected. The Protestants saw this document as a ploy to set the foundation of Romanism again and feared this would be the recourse. On the 6th of August, a Saturday night, soldiers were brought into the city by Charles’ command, to guard the gates and to keep a watch on the elector and the princes. Though a storm was rising about him, Phillip of Hesse stood firm against the king and his ploys. Charles summoned him to speak with him and Phillip took up the opportunity. Charles brought forth accusations against him but Phillip justified himself on every one, though Charles did not accept his testimony to his faith as a Protestant and commanded him to submit to him. Charles was “stupefied” at the landgrave’s boldness. Phillip then desired the Protestants to unify and come against the king by civil war, but the Protestants refused. Phillip, of no use to either side, quit the city. Charles called the electors and princes again to the hall to meet. The speaker was again Joachim who refused, on behalf of the princes and electors, to give up their doctrines. The emperor cried peace only if they would compromise his beliefs. How could they dismiss the Confession which they had taken pains to convey to the Diet? They would not recant of their evangelical doctrines and left the breach open wide between the two parties. Phillip requested a leave of absence from the emperor and he left the city without addressing any of his friends, more agitated with them because of their failure to take up arms. Charles had the matter known to the Protestants, but they did not know that Phillip had departed and all this was done without their consent to him leaving. With Phillip gone, though, both sides of the conflict sheathed their swords and did not desire disputations to break out in blood. Both sides desired peace, although the Protestants had always desired this. Romish theologians again went through the Confession and disagreed only with six or seven points out of twenty-one. This was far more condescending than they had been previously. After further deliberation, the points were dwindled down to three. The first was of penance, the second was the invocation of the saints, and the third justification by faith alone. Dr. Eck found it absurd to believe one is justified by faith alone, or sola. Eck wanted the word sola taken out of the document. The Protestants refused. The Catholic theologians were only acquiescing as far as they could equivocate the document to their own likening. Next they traced the abuses mentioned in the Confession. The question that occupied them on this part of the Confession was the government of the church. The Protestants decided to give a little and allow the bishops and priests to reside so long as they did not persecute the preachers of the Gospel. They even acquiesced that the Pope could remain Pope so long as they would not be under his tyranny. They confessed him as antichrist, but as Pharaoh was over the Jews so they would remain under his authority in this regard, but not doctrinally. These, and other concessions were made between Protestants and Catholics, and when news of all this reached the streets the Protestants were in rejection of it. It impugned on Christian liberty and overthrew it. Luther heard of it and desired that he be excused from such concessions. The Pope would not be reconciled to him and he would not be reconciled to the Pope. Melancthon had blinded himself to taking a stand, and his weakness was demonstrating itself in these concessions. The elector John was furious at the outcome of the court and could do nothing but quit the city. The Protestants were forbidden to print anything since the Catholics had claimed to refute the Confession by the Holy Scriptures and the Protestants did not bow to their refutation. A Recess was written up and distributed to them. The electors and princes gathered early to go over this document and desired to stand before Charles again to protest this document. Charles, though, gave up all hopes of reconciliation. Charles met with the princes after their morning meeting and Joachim again spoke for them. They rejected the document and could not acquiesce to it. Charles was astounded at their firmness and did not expect such resolution. The electors and princes bowed out before the king, and Charles petitioned his uncle there not expecting such a thing could be done between families. But his uncle bowed out as well without reply. In the afternoon the electors and princes quit the city and headed for their respective provinces. Charles V wrote to the Pope and informed him that all negotiations were off and that reconciliation had not occurred. The adversaries of Rome were more resolute than ever. The Reformation was unified in its faith, though Germans and Swiss were not all agreed on every point of the Lord’s Supper and worship. The Diet at Augsburg was convened for the express purpose of destroying the Reformation, and yet, God’s providence would have it that the same would strengthen it. One of the most helpful Reformed confessions emerged from there, commonly known as the Augsburg Confession.